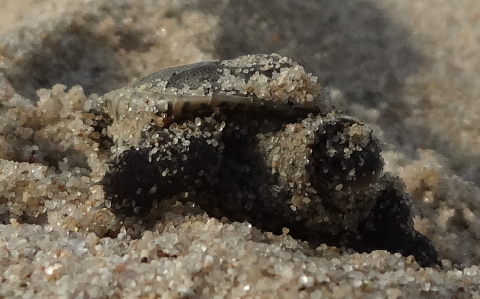 Hot and humid weather settled over the South Coast of Massachusetts for the last weekend of August; perfect conditions to entice turtle babies to emerge from incubation under the hot, baking sands. 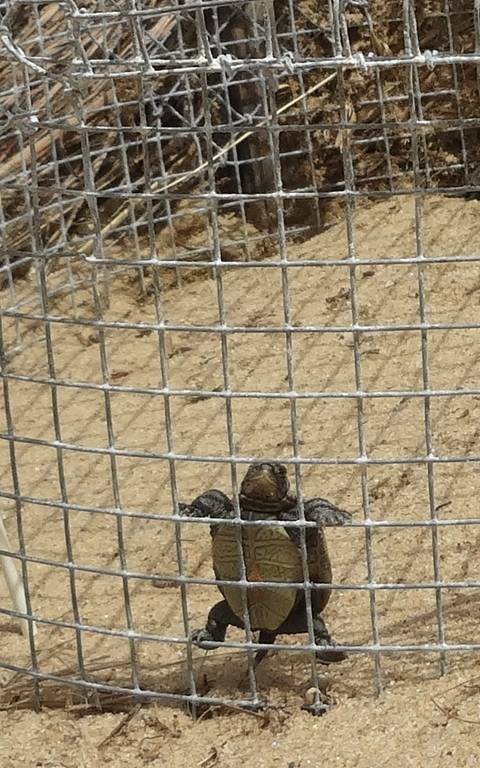 The Turtle Journal team discovered hatched nests on a barrier beach in Aucoot Cove between Marion and Mattapoisett, rescuing three pipped and vulnerable babies that were left behind by their more robust siblings. 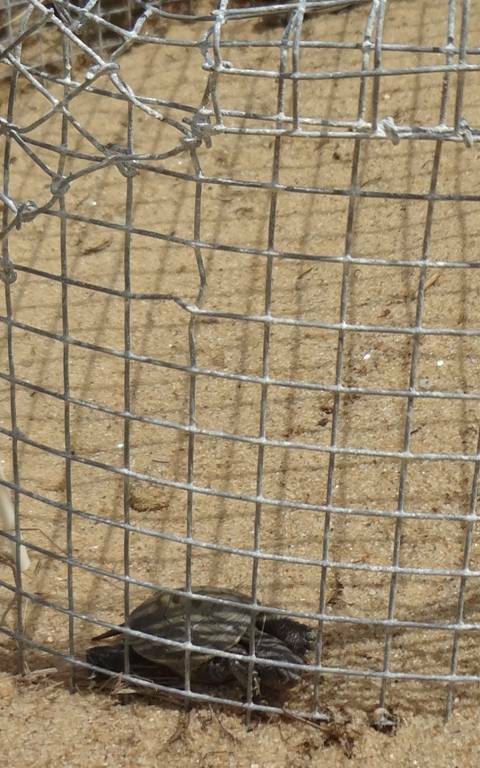 The team also recovered a viable egg from another hatched nest. Those three still developing babies and the viable egg would have been predator bait as soon as the sun set this evening. Hatchlings that emerged from this hole on Schaefer Lab Beach face enormous odds to escape human obstacles … in addition to threats from legions of non-human predators that all baby turtles must confront. A line of watercraft thwarts access to the salt marsh on the west. A sea wall blocks passage to the east and a concrete rim poses a seemingly impossible hazard for these 1-inch, 1/4-ounce babies to crawl northward to the harbor. Hopefully, a few babies will zigzag their way through this human maze to reach safe haven in the nursery salt marsh. Nearly a decade and a half ago, the very first hatchling in Marion was discovered here by Jared Nourse and Sue Wieber Nourse, then Director of the Schaefer Oceanology Lab and the head of the Tabor Academy Summer Program for marine studies. 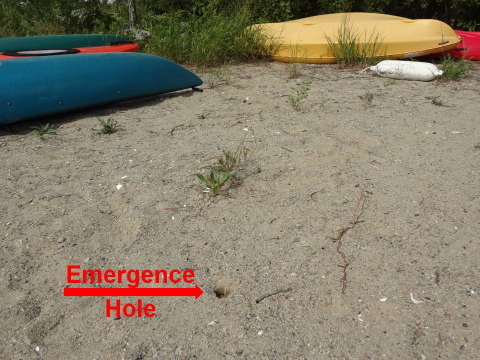 Also, the first headstarted terrapin hatchlings were released into this same salt marsh by Tabor Academy advanced marine science students in field research under Sue’s leadership in 2004. 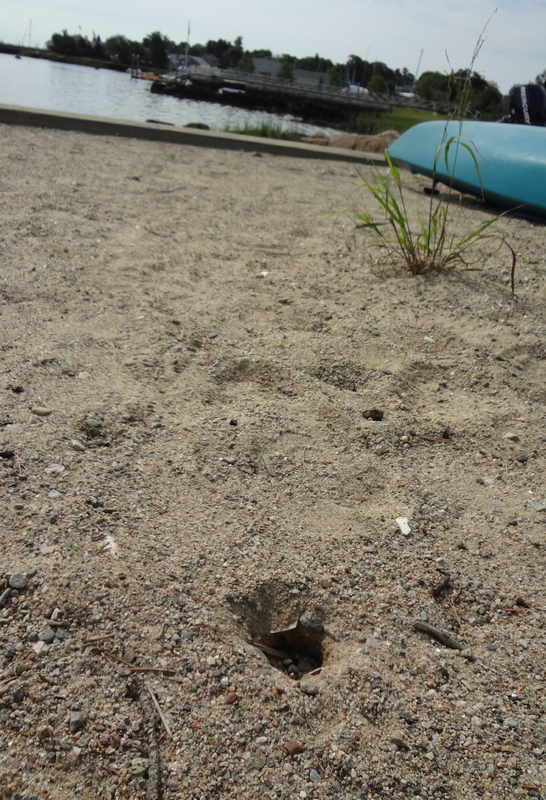 This morning, August 25th, Sue documented that 11 diamondback terrapin hatchlings were born and had emerged from this spot on Schaefer Lab Beach off Sippican Harbor in Marion, Massachusetts. The odds are still long for their survival, but the odds were equally poor for the female to have discovered a break in human activity to deposit her eggs, for the nest to have avoided depredation by a host of hungry predators, for the eggs to have achieved the right conditions to incubate, for the hatchlings to have avoided being crushed by the movement of boats and other heavy equipment over their nest, and for these tiny babies to have dug their way through the highly compacted sand to reach freedom. 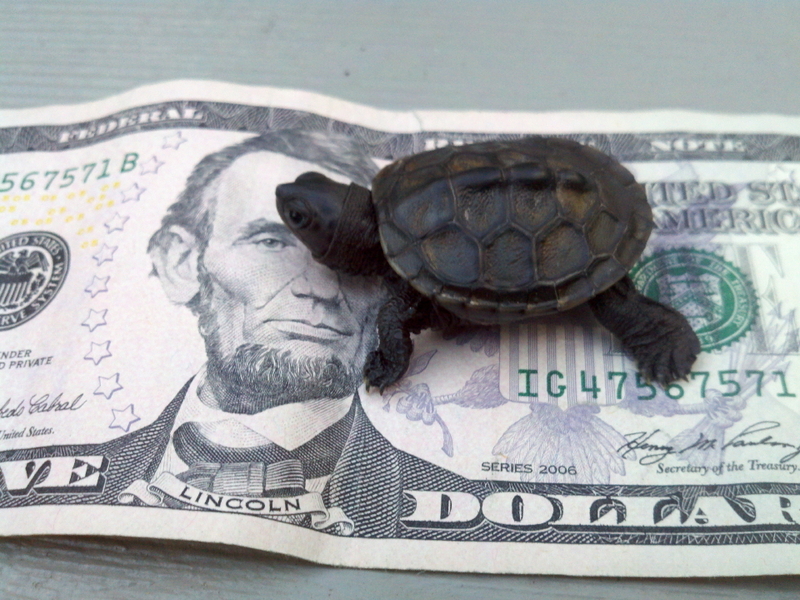 So, bon chance, baby terrapins! Unlike their pelagic sea turtle cousins who emerge from nests at night and head for the brightest horizon, either the sea or the nearest fast food outlet, terrapins employ the sheer randomness of a “Drunkard’s Walk” as they blaze a path to camouflaged safety of a nursery salt marsh. 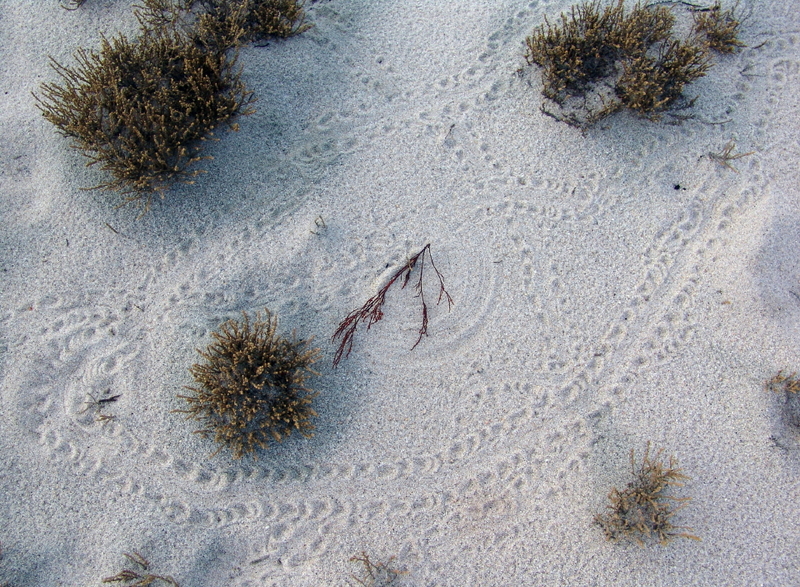 These babies from Cape Cod etched a maze of tracks as they scrambled to freedom. Sue Wieber Nourse and Rufus the Turtle Dog discovered a treasure chest of baby tracks dotting the white sand dunes of Sandy Neck in Barnstable this morning, August 23rd, 2012. 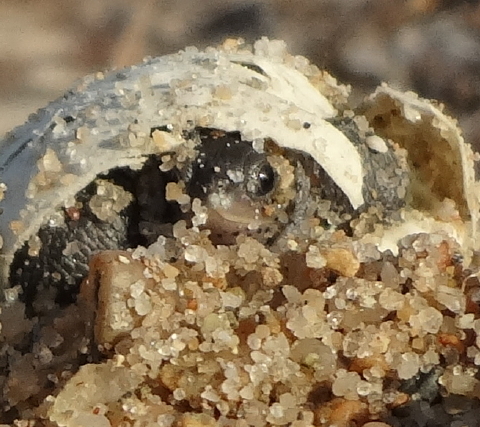 Life is not fair, especially for vulnerable diamondback terrapin hatchlings like the little baby pictured above. 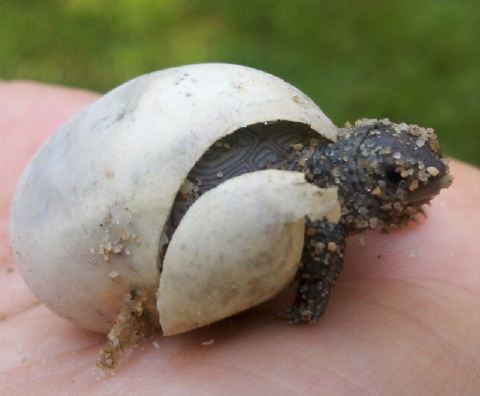 Once eggs have incubated long en0ugh, two to three months depending on temperature, hatchlings begin to “pip,” break the eggshell with their egg tooth. Even though the egg has been pierced, babies stay inside until they have absorbed enough of their huge yolk sacs for them to be able to crawl freely. 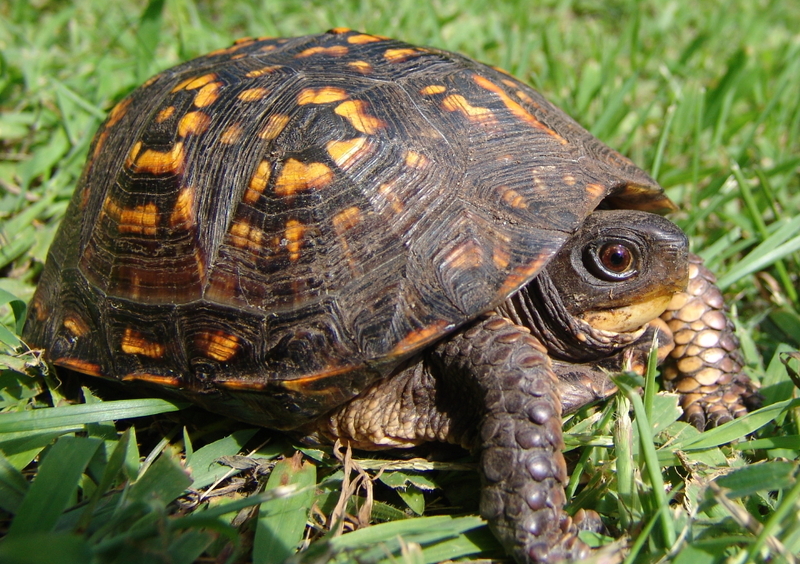 Those babies furthest along in development emerge first, leaving less mature hatchlings to fend for themselves. 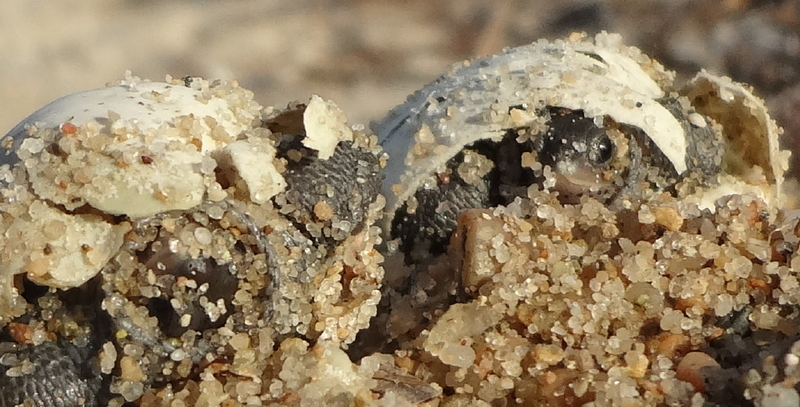 Unfortunately, once the first hatchling tunnels to the surface, it leaves an emergence hole from which the tempting odor of organic material rings through the beach like a dinner bell for predators. On Wednesday morning, Sue Wieber Nourse and Rufus the Turtle Dog found hatchling tracks on a Marion barrier beach. 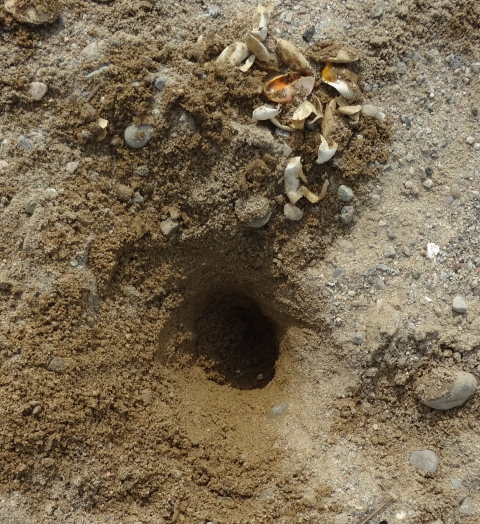 Sue analyzed the tracks and found the emergence hole. Six hatchlings had tunneled to safety, leaving behind three “pipped” and helpless babies with huge yolk sacs that thwarted emergence. They would have been consumed by predators as soon as darkness fell. Sue also found three eggs, two viable and one questionable. Sue harvested the eggs and the premature babies. 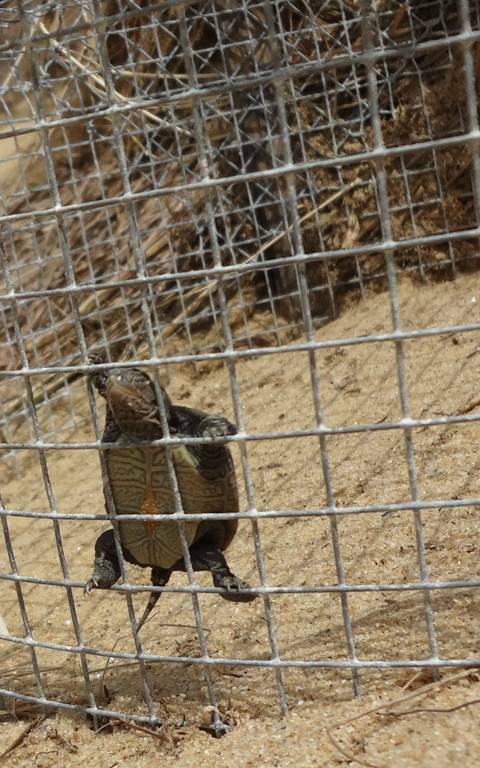 They were brought to Turtle Journal’s rescue nursery where the eggs will continue to incubate and the babies will mature in safety. 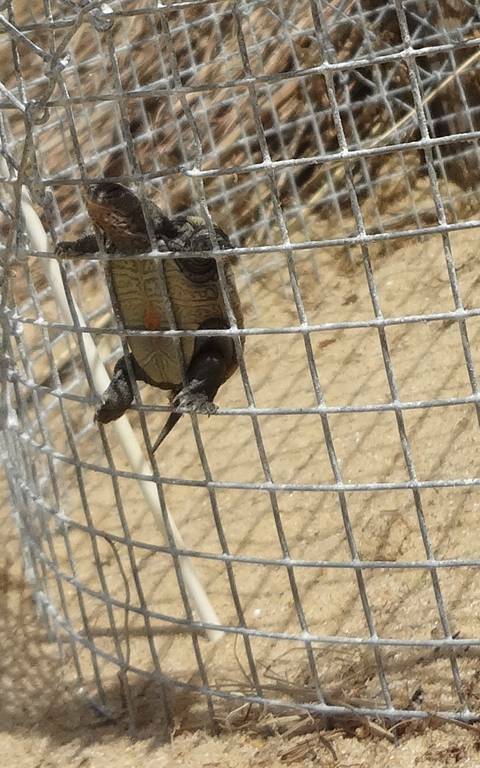 With a little luck and a lot of TLC, all will be returned to the wild in a few weeks to boost the threatened population of diamondback terrapins in Buzzards Bay. So, yes; being born is not all it’s cracked up to be. 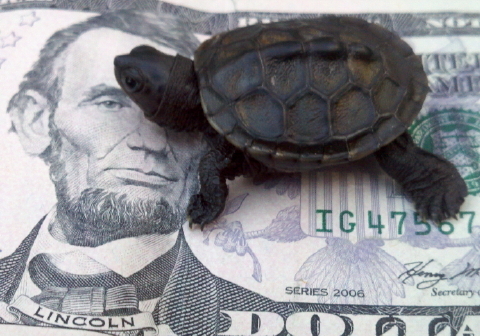 For a baby turtle, challenges to survival are legion. 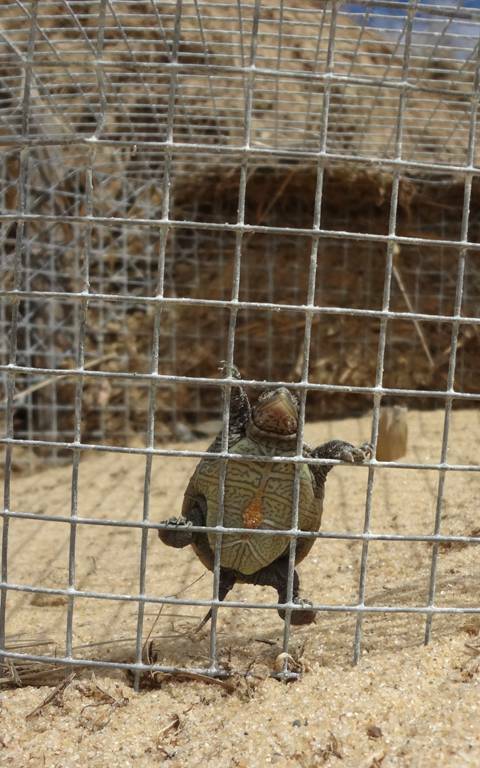 Luckily for these babies, Sue Wieber Nourse, Rufus the Turtle Dog and the whole Turtle Journal team of researchers and rescuers are on watch to give them that little extra TLC that will make the difference between survival and extirpation for diamondback terrapins in Buzzards Bay. 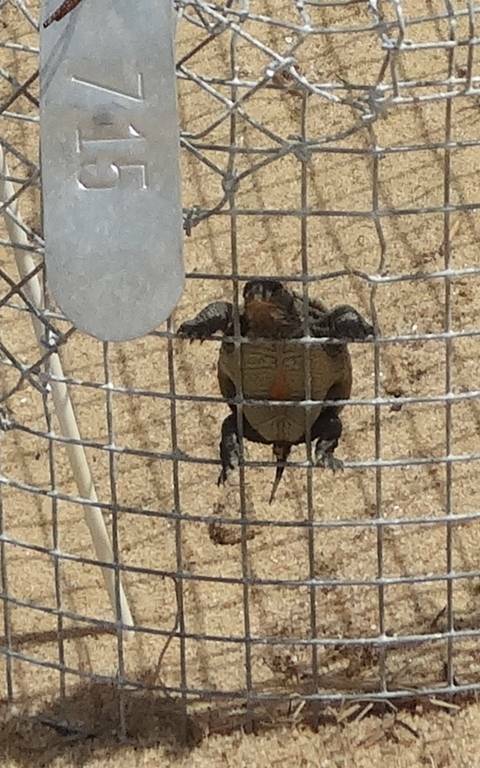 On Monday, residents of Rose Point in West Wareham brought a diamondback terrapin hatchling to the National Marine Life Center in Buzzards Bay. 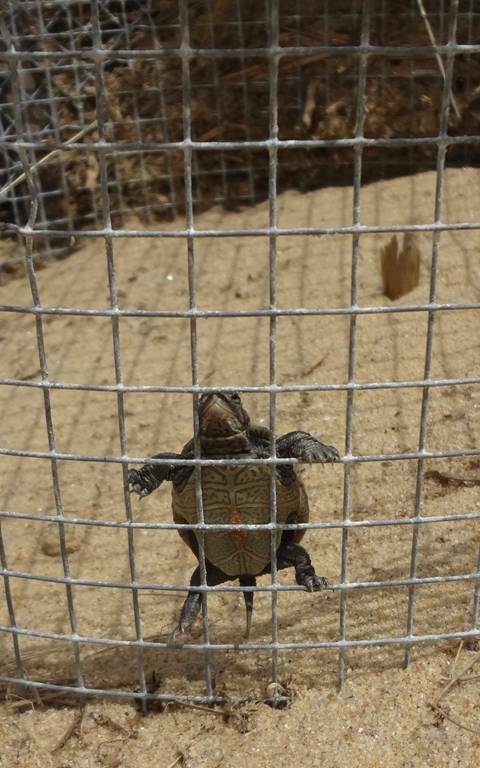 They had discovered this hatchling, likely born in the fall of 2011, crawling aimlessly on Rose Point, which juts out into the Sippican River. 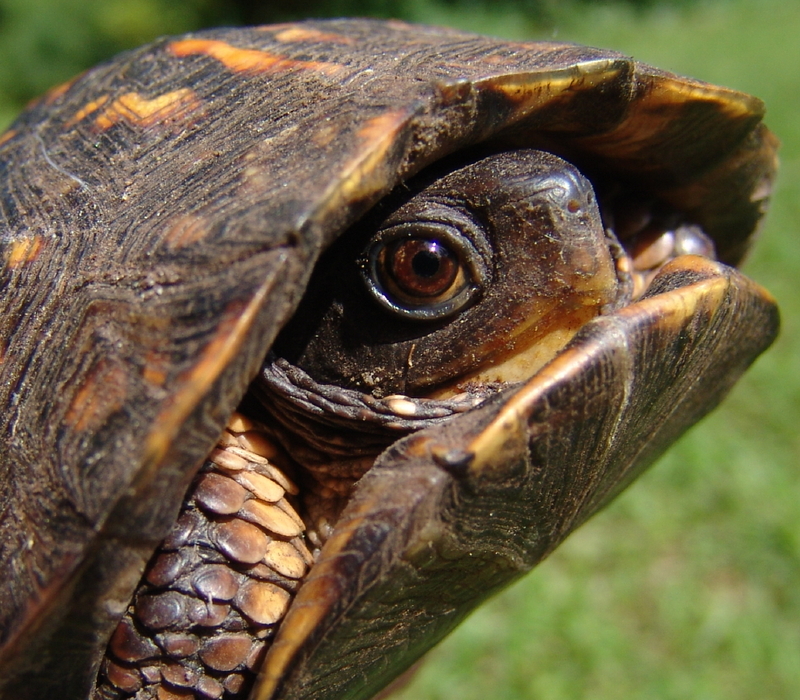 They had kept it through the spring and summer, but were alerted by recent newspaper articles about the protected status of these threatened turtles. 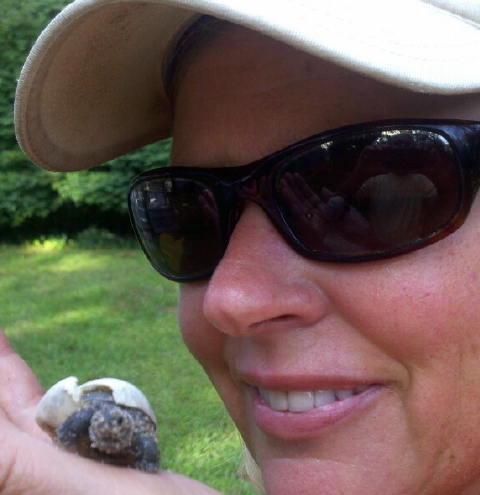 NMLC called Turtle Journal and Don Lewis retrieved the hatchling for return back into the wild. 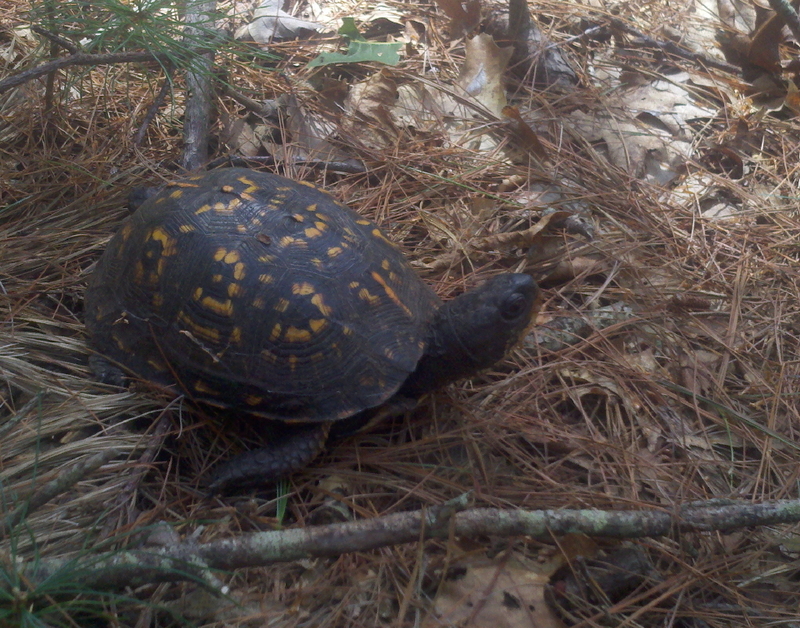 During his lunch break on Tuesday, Turtle Journal’s Don Lewis took a walk through the pine woodlands of Indian Neck in Wareham. Along a critter trail, he found a young female Eastern box turtle enjoying the summer day. 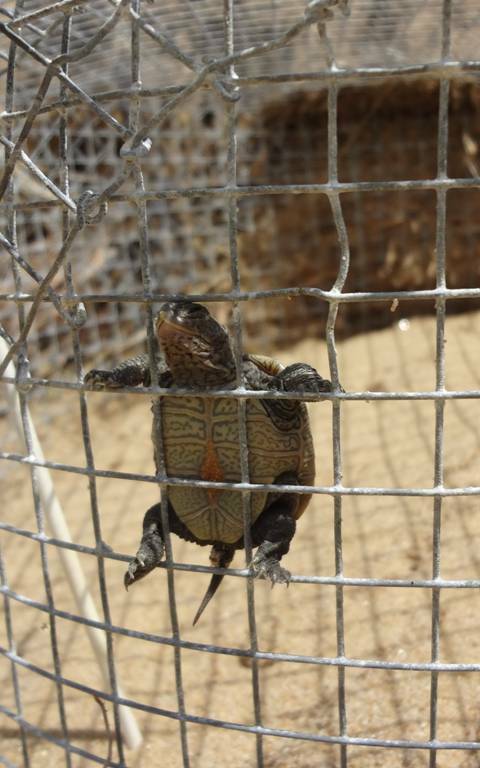 An 11-year-old female, this turtle seemed shocked by Don’s presence. She appeared as though she had never seen a human before, certainly a possibility because of her remote homestead. Quite a beauty of whom Wareham can be rightly proud! You are currently browsing the Turtle Journal blog archives for August, 2012.